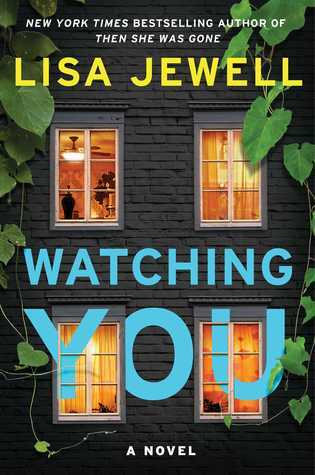 I had been reading so many 4 and 5 star ratings for “Watching You” by Lisa Jewell that I was getting worried. I find that if my expectations are so high, that I am often disappointed. I need not to have worried. Lisa Jewell penned a very good psychological thriller that I had a hard time putting down. She develops her characters slowly, dropping tidbits about their lives so you get to know them as if you have met them. In this story, the area called Melville Heights is home to the various people who populate this story. From students and their families, neighbours who are a bit off and the headmaster, Tom, and his family there is quite a group of them and several of them are watching one another. Why are they watching? They have their reasons. At the centre of the story is Tom Fitzwilliam, the hot shot teacher who’s come to town to clean up a troubled school. As he works on making the school good again, he is making the ladies swoon. For some reason his charm, wit and fairly run-of-the-mill dad looks appeal to everyone, making the females weak in the knees and the males wishing they were him. Everyone that is, except Jenna Tripp and her mother who know Tom Fitzwilliam is up to no good. Jenna’s best friend Bess however, is another story and obsession is putting her feelings towards Mr. Fitzwilliam lightly. I enjoyed this character driven psychological thriller. It was a quick, fun and fast-paced story. The story starts with a bang, a murder scene and then we weave through the lives of the characters until we find out who the murderer is. I enjoyed this plot, and loved how all of these characters in the neighborhood are linked together with invisible, twisty, threads. It’s a slow build with just the exact amount of mystery to keep you turning the pages. I thought I had it all figured out based on the clever hints and clues dropped throughout the book and I was partially correct, but oh that final twist, I did not see that coming. Unfortunately, I have one niggle and that is the epilogue. It ties up all the loose ends in a “nice” way that I just didn’t think was necessary. It felt very rushed to me. If it wasn’t for that, this would have been a 5 star read for me. Every Lisa Jewell book I read, cements her higher on my list of favourite authors. The publisher, Atria Books, generously provided me with a copy of this book to read upon my request. The rating, opinions and ideas are my own. About the Book (From Goodreads): Melville Heights is one of the nicest neighbourhoods in Bristol, England; home to doctors and lawyers and old-money academics. It’s not the sort of place where people are brutally murdered in their own kitchens. But it is the sort of place where everyone has a secret. And everyone is watching you. 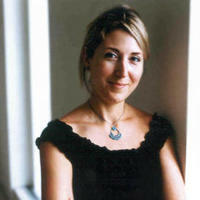 About the Author: Lisa was born in London in 1968. Her mother was a secretary and her father was a textile agent and she was brought up in the northernmost reaches of London with her two younger sisters. She was educated at a Catholic girls’ Grammar school in Finchley. After leaving school at sixteen she spent two years at Barnet College doing an arts foundation course and then two years at Epsom School of Art & Design studying Fashion Illustration and Communication. Wasn’t this a great read, Carla? Loved your review! I understand about the epilogue. Thanks Jennifer. I did enjoy it very much. Sometimes I wish they would just end the story and not feel the need to add an epilogue, other times I wish they did, so it is a tough call. Yay, so happy you enjoyed it too! Love this author. Great review Carla. Thanks Holly. I can’t wait to read more of her books. Then She Was Gone is very good! I read that one. Actually it was the first one I read. I looked at her backlist and she has a lot, but I don’t want to go too far back. Ooh…nice twist, a challenge to your deductions…excellent brew. Sorry that epilogue put too fine a bow on it. Loved your review, Carla, and this one is in my reading queue! I can’t wait to see what you think about it when you get to it Jonetta. I’ve been reading lots of great things about Lisa Jewell – I must check her out. I just read one of her earlier boks and it was also very good. I hope you give her a try Cathy. One of my favourires so far in 2019. Too bad the epilogue reduced the rating. Nice review, Carla. Thanks Shalini. It was one of those that I think the epilogue was too long and detailed, but that is just me. Fantastic review! I must listen to this soon! Thanks Nicki. I can imagine it would be difficult to narrate with so many characters, but you never know. We are all a bunch of fickle readers. Fantastic review, Carla! Glad you enjoyed it! Thanks Darinda, it was easy to like. Thanks Lynne, I hope you enjoy it as much as I did. Great review, Carla! I am so glad you enjoyed it! I usually avoid psychological thrillers, but this one sounds interesting. I try to read a few here and there and this was a good one. If you give it a try I will be interested to see what you think. Wonderful review, Carla!!! I’m soo glad you enjoyed it!!! I do agree, some books get overhyped but this one is fantastic. It lived up to it for sure. Great review. We had similar reactions. The ending was good, but then the wrap up was a bit of a… really?!?! Glad to see I am not the only one who reacted that way. So glad to year you enjoyed this one! It’s on my TBR, but I didn’t get a galley, so it will probably be awhile before I get to it. Your wonderful review backs up what I’ve heard from others though. Looking forward to it! I enjoyed it, it was slow in parts, but that built the creepy, suspense.